Unforgettable! That's what this day is! Amazing! That's what my God is! I love days like this! I don't know how today could have been better. Love is in the air! 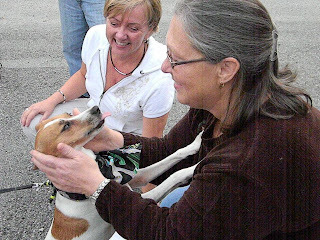 I woke up today knowing that tonight was going to be spent celebrating the spectacular reunion of a dog with his owners. I was so excited! Sunday as we were singing "Our God Saves" and "My Savior Lives" a dog was outside the main sanctuary doors running back and forth all excited. For all of his energy, he was hungry and had a few bumps and bruises. Our bass player, Mike Kenney, took him home, bathed and fed him. 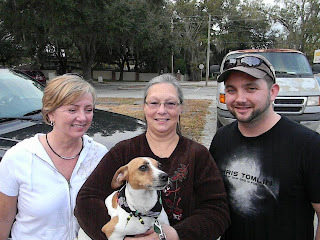 Then he and his mother Donna took him to the vet to get him checked. He was micro-chipped and through this they found his owner. They learned the dog's name: Tank. Amazingly, Tank survived for almost a year on his own. It's nothing short of a miracle. His owner Barbara Lynn, is a nurse who works with cancer patients. 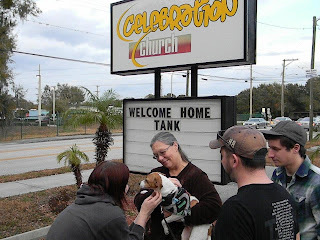 She told us that Tank is primarily an indoor dog who has never had to fend for a thing for himself before he got lost! 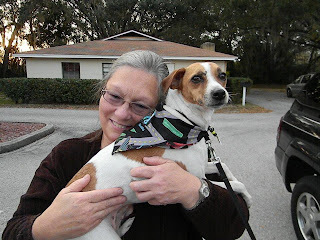 The fact that he has survived lots of difficult terrain over the past year -- high traffic in some areas, thick brush in others, even alligators -- is nothing short of a MIRACLE!!! The bible says that God cares for the birds of the air, and goes on to say -- how much more does He care for us? I know He also cares about a dog named Tank. Tank got lost last March and has been roaming since. His house is 25 miles from the church. Barbara and her family live out on a farm in Zephyrhills, FL. They hoped one day he would be found but as time has gone on, it was hard to not assume the worst. 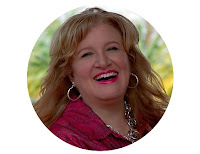 In stepped God, and Mike and Donna Kenney. After Donna and Barbara Lynn spoke on the phone, Barbara Lynn took off work for the day and got Tank's kennel out of storage and washed up his favorite blankets in preparation for his homecoming. She called her grown children to tell them the news and they were thrilled. A reunion was arranged for 5 pm tonight at the church. 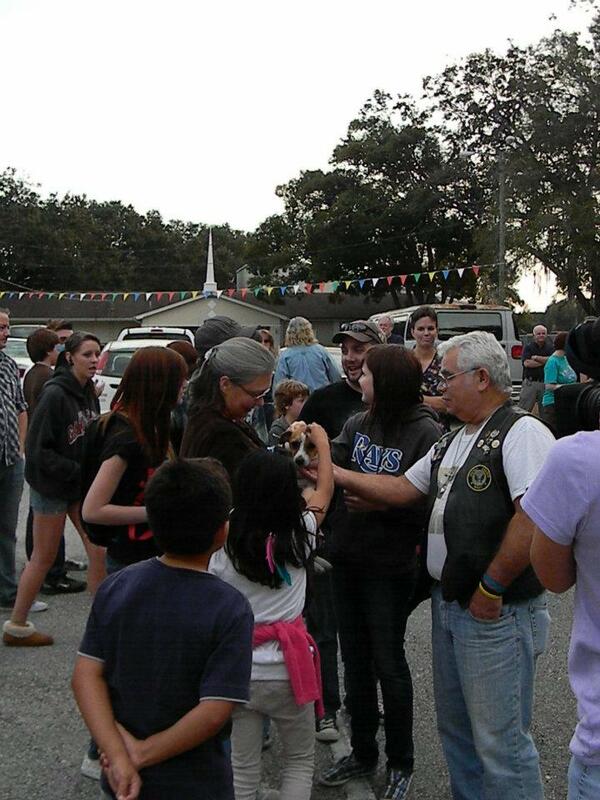 We have no idea how but Fox News 13 found out and asked to come. Then so did CBS 10! 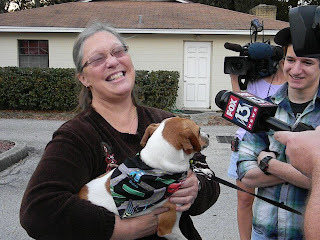 They both captured the reunion and did lots of interviewing and stayed to celebrate with us as Tank and Barbara Lynn got reacquainted. 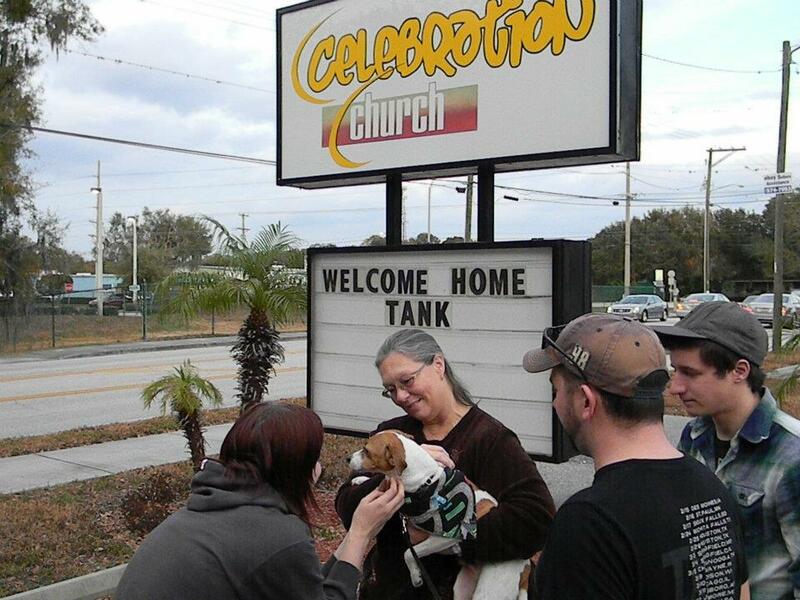 She said, "As soon as I saw the sign, 'Welcome Home Tank', I knew I was where I was supposed to be." The core of Celebration Church showed up to celebrate this incredible happy ending. What a blessing! The story airs tonight on Fox13 at 10:00 PM and then on CBS 10 at 11:00 PM. If for some reason they don't get it edited by then they said to check the 6:00 AM news. Needless to say our DVR's are set! If there is a link to post online, I will. My day was further blessed by the fact that we got to have lunch with our dear friends, Trinity & Misty Mackley, who are our former children's pastors. They are more like family than friends. It is always a blessing to spend time with them. Like I said, how much more perfect could this day have been? It was unforgettable and filled with so many blessings from God. I feel the love, everywhere! I'm one blessed girl, just to be a part of all of this. Thank you, Jesus for your blessings on me.